I picked this up a few months before the line got its makeover. 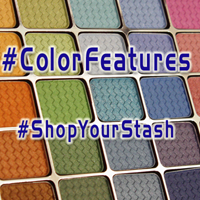 I had not had great luck with blush brushes, and wanted to give this a try. 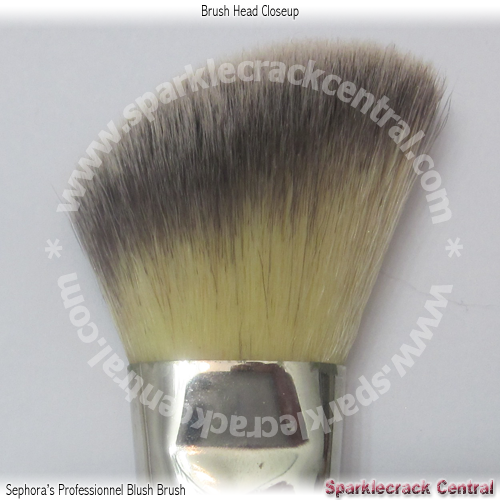 The brush head is nicely dense without being rigid, so it lays down a good amount of product. 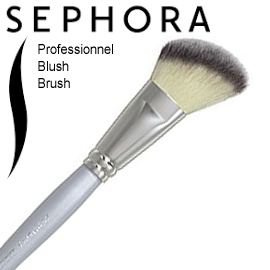 I feel like the angle of the brush helps with application: most of the blush concentrated on my cheekbones; a tiny bit above them; and more below, but softer. I managed to buy three more at a deep discount as the stock was being cleared out before the line changed from “Professionnel” to “Pro,” and the brush handles went from silver to black. (There were a few minor tweaks to some of the brushes, some new introductions and one or two retirements, but otherwise the brushes are the same or highly similar.) 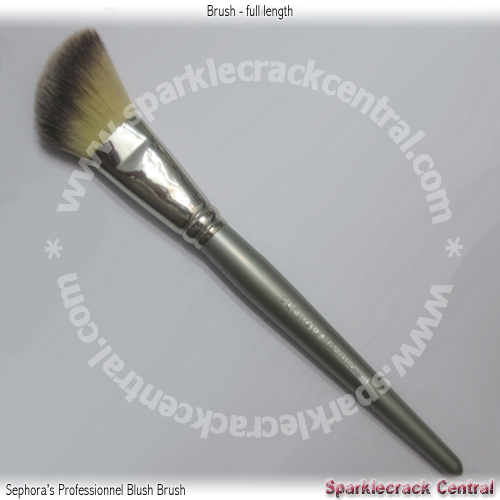 This brush is still available, it just got a makeover - with the rest of the line.